Congratulations to Penn Manor High School senior Healey Miller, who recently earned a No. 10 national ranking in BMX competition. 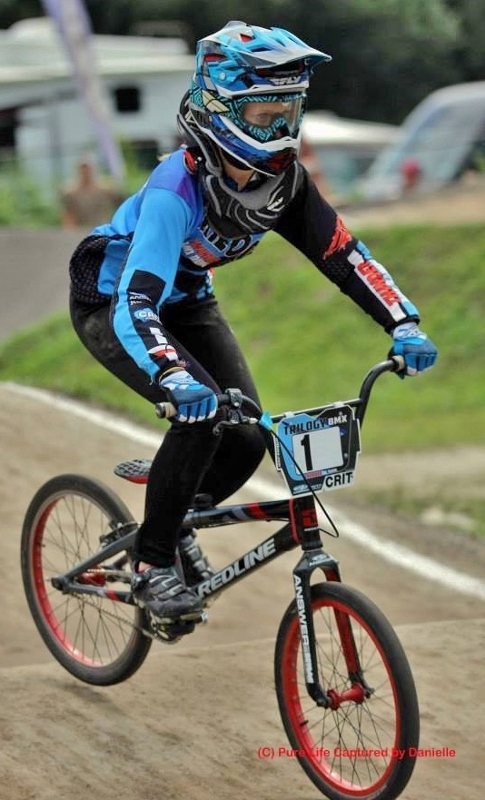 Healey competed last month in the USA BMX Grand Nationals in Tulsa, OK, after riding in other BMX competitions throughout the United States and Canada. She finished the year with a National Age Group ranking of No 10. BMX racing is sport in which competitors race on a dirt track over jumps and around berms in a high-speed sprint that requires skill, speed and power. An Olympic sport, BMX first became popular in the 1970s. Healey started riding relatively late, at age 13, but quickly climbed to the top of the national rankings. BMX racing is a family sport for the Millers. Healey’s father, Shawn, races in the age 41-45 expert class, and her mother, Tammi, volunteers at local BMX tracks. Keep up the good work, Healey!